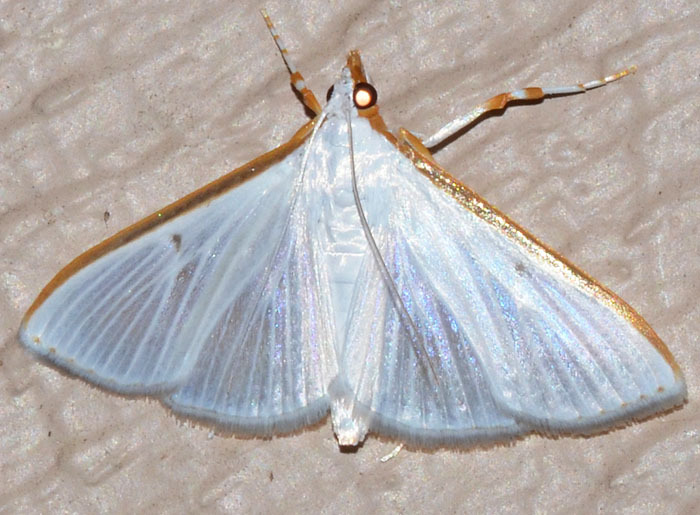 This Snout Moth can be found in Texas, Louisiana, and obviously Florida. Until recently, it was known as Stemorrhages costata. It is a pest of Confederate Jasmine and can be easily confused with Palpita kimballi.